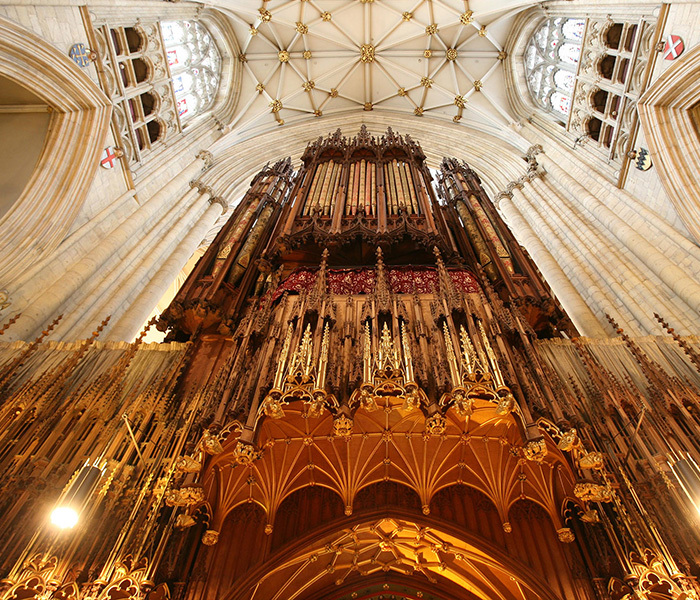 With the £2m, once-a-century project to refurbish York Minster’s Grand Organ now well underway, we look back at the current instrument’s fiery origins. 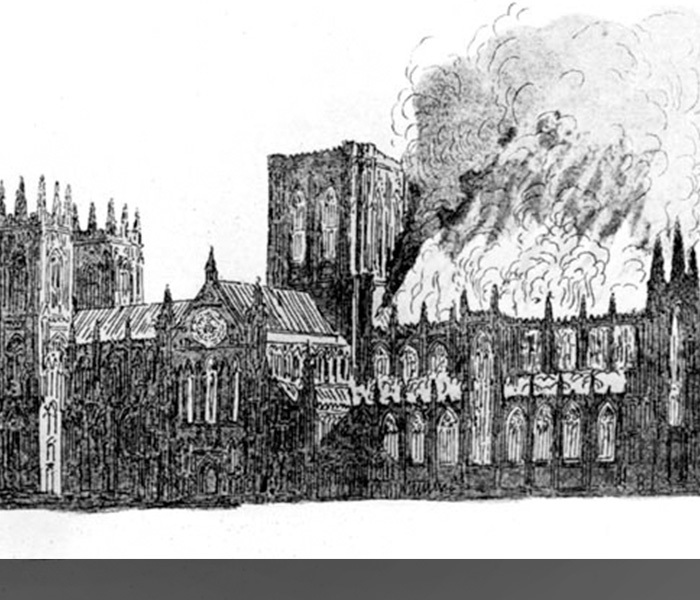 During the night of the 1 February 1829, a fire ripped through the Minster’s Quire. The blaze had been started deliberately by Jonathan Martin, a frequent visitor to the cathedral at the time, who had attended a service that afternoon and then hidden inside until the building was locked for the night. Martin reportedly used a rope taken from the bell tower to climb into the Quire, before setting the area alight and making his escape through a window. The fire wasn’t detected until the following morning, when one of the Minster choir boys, Robert Swinbank, slipped on some ice on his way to school and noticed smoke coming from the Minster. Despite the best efforts of firefighters, the blaze completely destroyed the Quire including its medieval panelling, stalls, roof and the Grand Organ. The instrument is believed to have dated in part from 1632, when Robert Dallam, the most celebrated organ builder of his time, was paid £297 to create ‘a most excellent-large-plump-lusty-full-speaking Organ’. It is unclear why Martin started the fire – some suggest he disliked the style of worship at the Minster and others have reported that he claimed to dislike the noise the organ made. 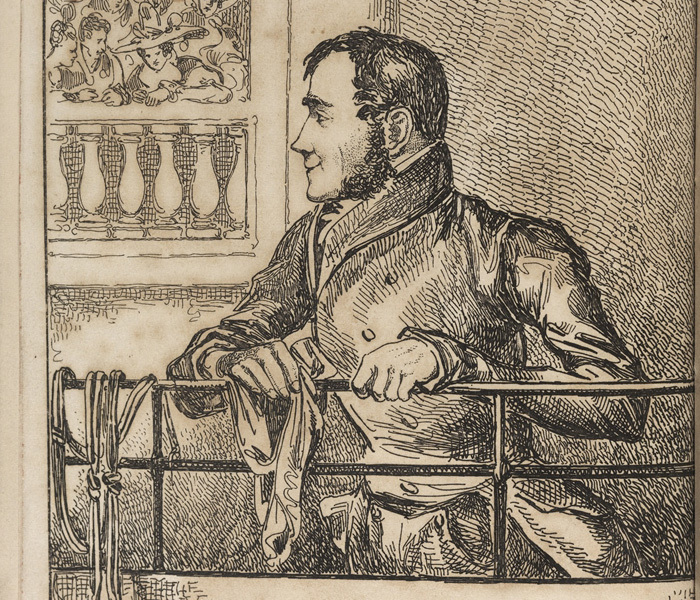 He is quoted as saying: “I’ll have thee down to-night, though shalt buzz no more.” He was arrested shortly after the fire, declared insane at trial and sent to Bedlam Hospital in London where he spent the rest of his life. As part of the rebuilding work at the Minster, a new Grand Organ was commissioned in 1829, and parts of this instrument still exist today. A donation of £3,000 paid for most of the cost of the new organ and its “gingerbread gothick” style case which sits above the Quire Screen. The 100 display pipes it contains were originally painted green to represent bronze before being updated in 1859 to the gold, green, cream and red decoration which we see today. As part of the current refurbishment project, the majority of these pipes will be brought back into use for the first time in more than 100 years. More information about the current project to refurbish the Grand Organ is available here.